THE government must be lauded for its firm stand in barring Israeli sportsmen from participating in sports events in the country. It’s a courageous stand, well appreciated by the Palestinians and those who believe in democracy, human rights and justice. In Gaza, Malaysian flags were flown in Yamrouk football stadium along with Palestinian flags and fans shouted slogans praising Malaysia and Prime Minister Tun Dr Mahathir Mohamad. It is hoped Malaysia’s example will spur other leaders, particularly from Arab and Muslim countries, to take a similar firm stand against Israel for the atrocities it is committing against the Palestinians. Anyone with a conscience cannot remain silent about Israel’s crimes. As Martin Luther King said when breaking his silence on Vietnam: “A time has come when silence is betrayal and that time has come for us in relation to Vietnam.” For the international community, the time has come when it cannot remain silent on Palestine. Palestinians are facing an existential threat. Israel has made it clear that it will not stop its activities — land expropriations, illegal building of Jewish settlements and the Separation Wall, humiliating searches at checkpoints, house demolitions, bombardments and assassinations, transfers, arrests, imprisonment and isolation of people from their communities. it is protected by the United States. Former United Nations rapporteur and international law expert Richard Falk described Israel’s treatment of Palestinians in Gaza as “genocidal, and risks destroying an entire Palestinian community” and warned of “a Palestinian holocaust in the making” which “should remind the world of the famous post-Nazi pledge ‘never again’”. The International Court of Justice, in 2004, delivered an advisory opinion that the construction of a wall by Israel in the Occupied Palestinian Territory, including in and around East Jerusalem, and its associated régime, is contrary to international law. It stated that Israel is under an obligation to stop further construction and pull down the wall in the occupied territories. Parties to the Fourth Geneva Convention are under an obligation to ensure compliance by Israel with international humanitarian law, as embodied in that convention. The court declared that the UN General Assembly and the UN Security Council should consider what further action is required to bring to an end the illegal situation resulting from the construction of the wall. The Goldstone Report on investigation into violations of international humanitarian law during the 2008 Gaza War concluded that Israeli forces had wilfully targeted civilians and committed war crimes and crimes against humanity. The report was commissioned by the UN Human Rights Council. Israel rejected the report. The Palestinians have been resisting Jewish settler-colonialism for more than 100 years and their resistance continues. The land of Palestine is scattered with the bones of martyrs who gave their lives fighting British imperialism and Zionism. The promotion and intensification of the Boycott, Divestment and Sanctions (BDS) campaign globally is key to dismantling the apartheid regime in historic Palestine. Malaysia should convene a meeting of experts, including civil society activists, to formulate a strategic plan of action to dismantle the apartheid regime in Israel. The collapse of the UN-supported two-state solution to the conflict and the formalisation of the apartheid regime in Tel Aviv by the Israeli Parliament, which has declared Israel as the nation-state of the Jewish people, require fresh strategic thinking. 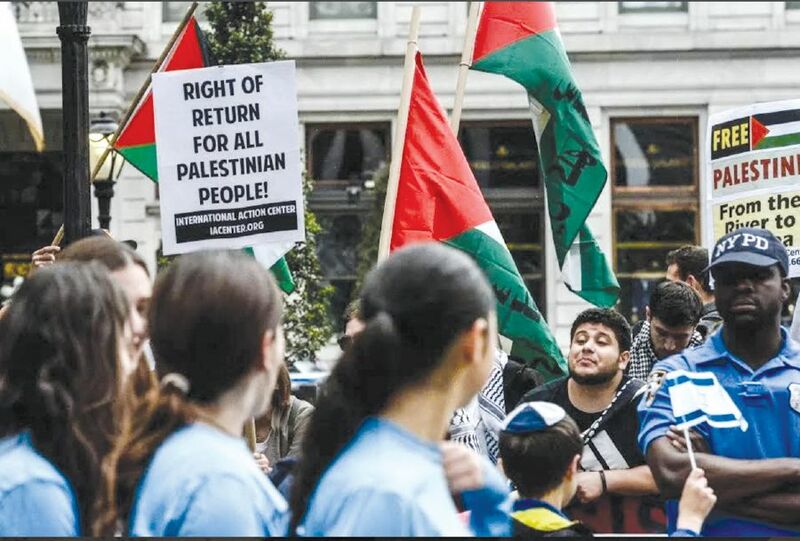 Our Parliament should be convened to pass a resolution to commemorate the Palestinian Nakba (May 15) and endorse and support the international BDS Movement.